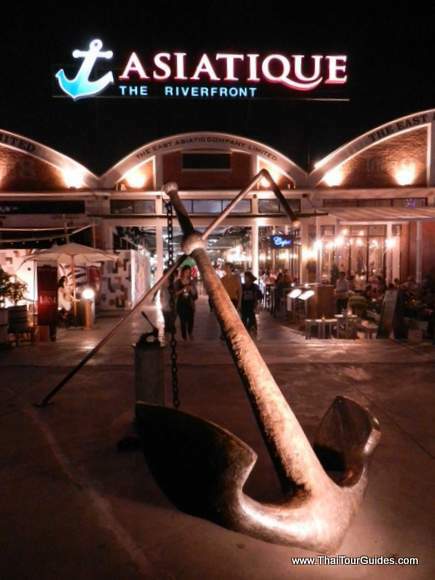 Asiatique is a relatively new and popular tourist attraction by the Chao Phraya river in Bangkok. It’s a place where you can spend a nice evening looking for souvenirs, fashion, enjoy some food and drinks and simply take in the lively and laid-back atmosphere. This place used to be warehouses long time ago, but they renovated it and made it into a shopping & atmospheric entertainment area, which was done quite nicely. It also opens every day (not just on weekends like most other Bangkok night markets), and since it’s made mainly for international tourists, the area is quite clean, neat and organized (as opposed to the often charming, but also chaotic arrangements you find on markets which cater more to the locals). Since it’s by the river, you often get a pleasantly cool breeze when you sit at one of the cafe’s or restaurants on the terrace, although the prices here are really high. There are plenty of cafes, restaurants and small shops and stores. The prices aren’t cheap, but still reasonable and overall it’s a very nice and pleasant experience. 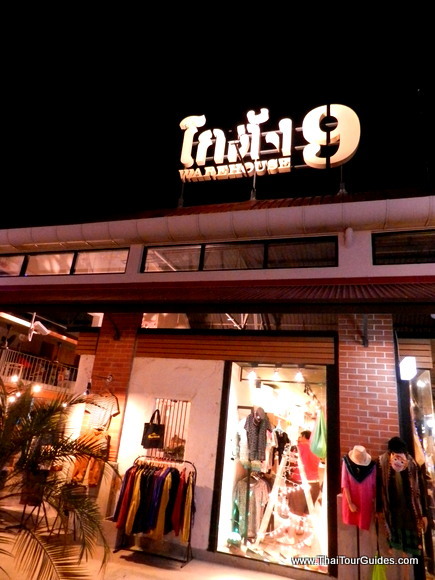 It’s an attraction mainly for tourists from other countries, but Thai people come here too, particularly for the atmosphere and shopping of fashion. There’s a big ferris wheel too, which is a nice way of catching a glimpse over the city by the river. 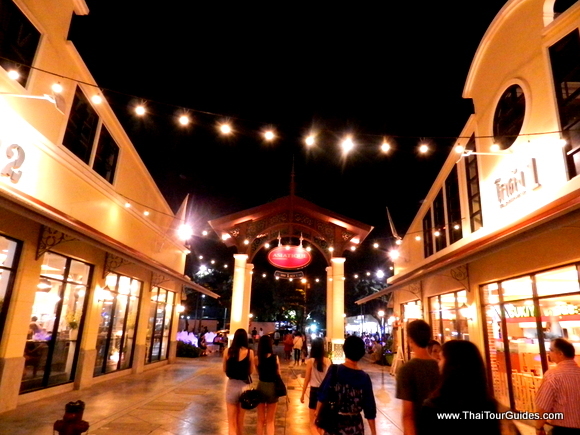 This place is quite easy to navigate, so you can come on your own, or if you want with your own personal Thai tour guide. There are plenty of clothing, fashion accessory and gift shops, and the style is kind of similar to the things you can find at the Terminal 21 fashion mall (although the selection is much smaller here than at Terminal 21). 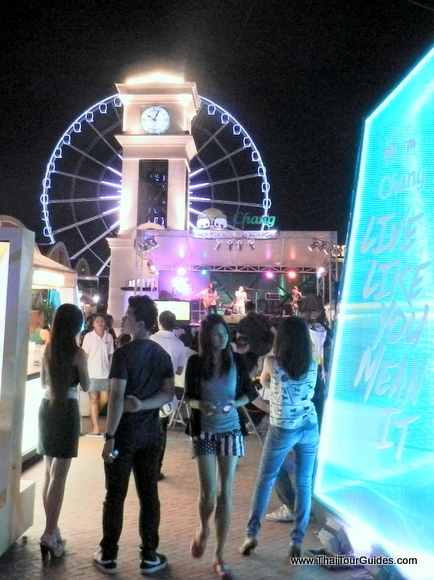 The place opens around 5 p.m. and it’s best to be here after dark, because then the temperatures are not too hot. You can also get a foot massage here or enjoy a fish spa. Foodwise, there are plenty of choices. If you’re looking for a great Thai food experience, this might not be the place, but lots of international choices from Japanese to Italian to Korean, steakhouses, seafood, and so on. The prices are a bit high for Bangkok standards, but then this is normal for tourist attractions. Or you try the lower-priced food court on the vicinity. The famous Joe Louis Puppet Theatre can be found here to, as well as the Calypso show. How to get there: You can take the boat shuttle service from Sathon Pier (BTS station Saphan Taksin), which operates daily from 4:30 p.m. to 11:15 p.m. We do not recommend going there by taxi (or leaving from there by taxi), as the traffic is often congested, and taxis waiting in front of Asiatique The Riverfront often charge inflated prices. If you want you can hire a private Bangkok tour guide for your visit here, or just go by yourself, it’s quite an easy attraction to explore on your own.